The tiny sliver of Africa‘s smallest country is wedged into surrounding Senegal, and is seen as a splinter in its side, or the tongue that makes it speak, depending on who you talk to. For many, The Gambia is a country with beaches that invite visitors to laze and linger on package tours. But there’s more than sun and surf. Small fishing villages, nature reserves and historic slaving stations are all within easy reach of the clamorous Atlantic resorts. 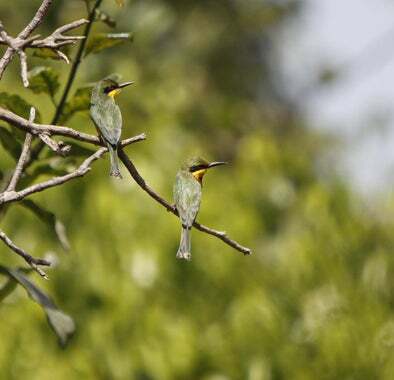 Star-studded eco-lodges and small wildlife parks dot the inland like a green belt around the coast and The Gambia is a bird lovers’ utopia: on a leisurely river cruise, you’ll easily spot more than 100 species while your pirogue charts an unhurried course through mangrove-lined wetlands and lush gallery forests. You won’t be able to resist wielding binoculars with the excellent network of guides. Great place hope you have a nice time!